It's 10:00 am in Manchester on 14th April with only 12 hours after the last show ended before having to be back in the studio and only an hours sleep. Having scored 91 in the second programme, it would be nice to score more in this one. However when talking in the green room before the show, there were three of us who all sounded about the same level. In my first game I was to play Cliff Barnes. He and his wife Deborah run two pubs in Brighton, The Caroline of Brunswick and The West Hill. Is he as evil as his Dallas namesake? 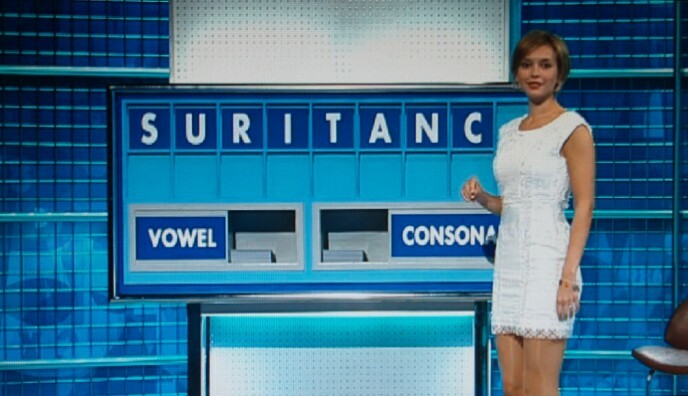 My numbers brain was definitely asleep for the first two parts (and I was a little distracted by having met the guest star Gloria Hunniford), with Cliff scoring 17 to my 0, but some good word spots including RAVELIN and CURTAINS, put me ahead for a while. 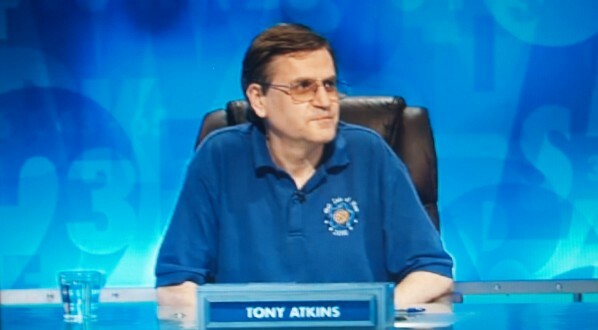 Howver I missed SUITABLE and went into the final numbers game 10 behind. 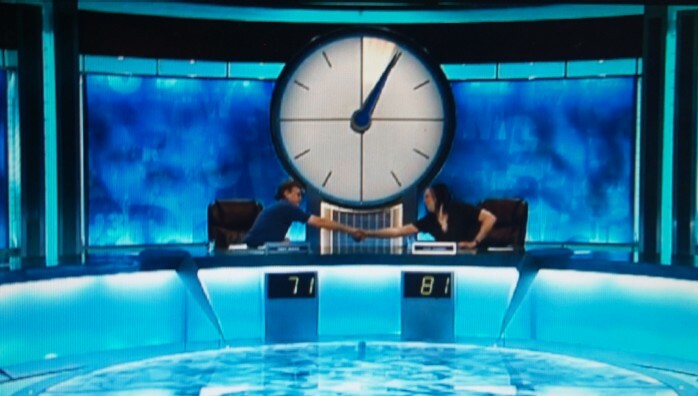 Cliff failed to make 779 and so the scores were tied with just the crucial Conundrum to go! 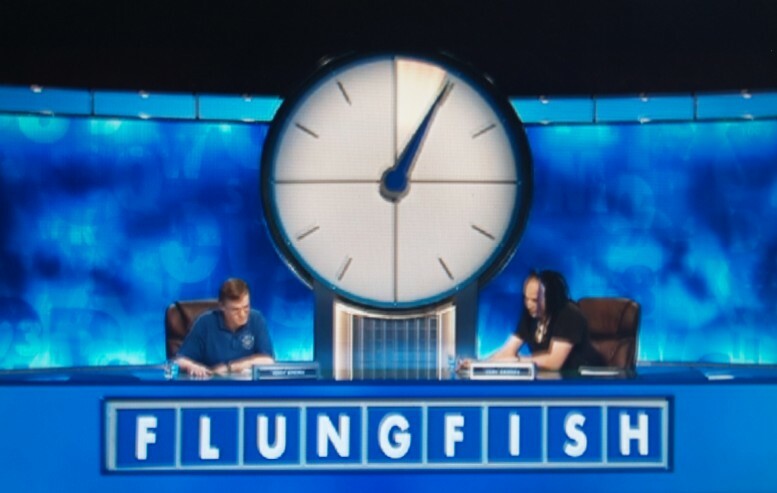 Cliff buzzed on 4.5 seconds to say FLUNGFISH was SHUFFLING. I was stuck on F-FLUSHING. This gave Cliff an 81-71 win. 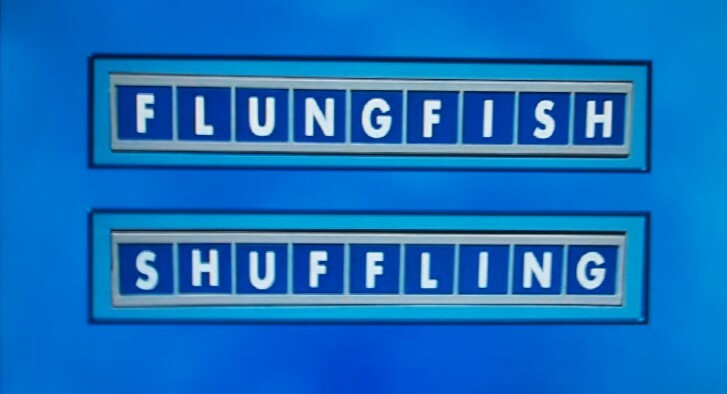 So I have something in common with Susie Dent when Paul Zenon is on the show: We both hate SHUFFLING! The next day Cliff Barnes had to play Tom Barnes (no relation) and in a Barnes-stormer of a game. 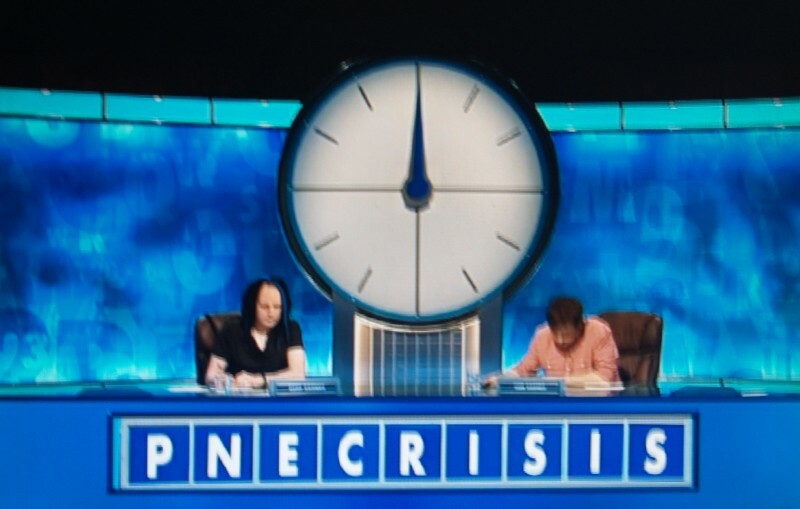 The game hit the news headlines as the conundrum was PNECRISIS, set by a Blackpool fan poking fun at the relegation of Preston North End. In the show Rachel was the only one said to get that it was PRICINESS, but I actually got it, but it would not be proper for the previous champion be shown to get it. 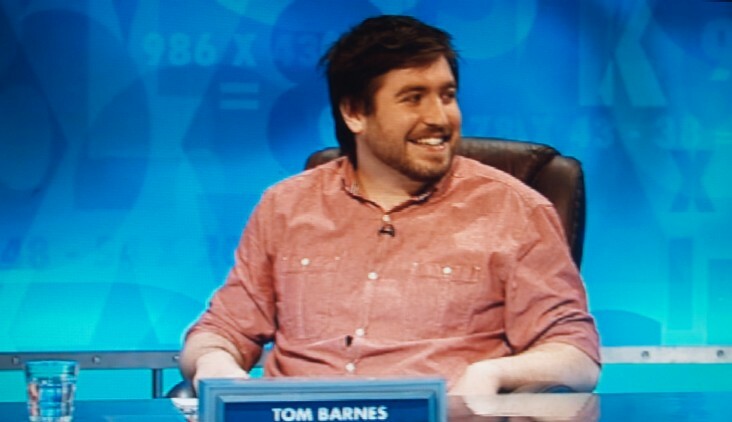 Tom won and went on to win the rest of the week's shows. 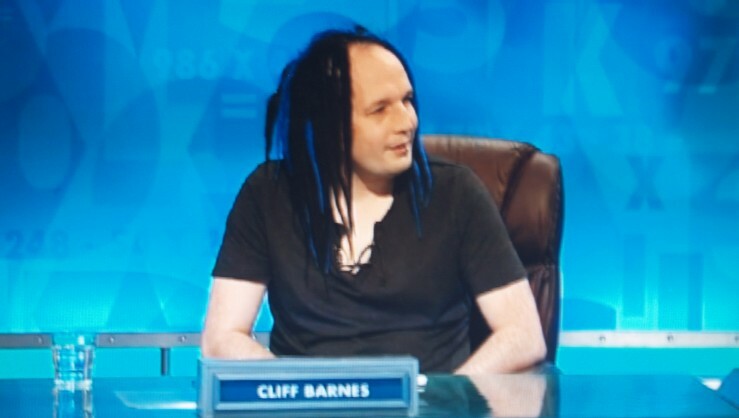 If I had beaten Cliff I could probably have beaten Tom too, which would have been a shame as he was obviously destined to do well. In fact he won all 8 shows and retired unbeaten as number 3 seed for the finals. Unfortunately he lost his quarter-final to Mary Adie, who in turn lost to number 2 seed and series winner, Edward McCulloch. Edward beat the number 1 seed Adam Gillard in the final 113-94. Home Contact: info @ kisekigo.com Last updated: 2011-06-03.